Fellowship: with Nancy Gentes who spoke about holidays in January. Everyone just thought that New Year’s Day and Martin Luther King Day were the only ones. Well, there is a day, week or month for just about everything and here are some of the official ones in January. There is a “Be Kind to Food Servers Day”, “National Pie Day” and a “Kiss a Ginger Day.” January is “National Be on Purpose” Month. There is also a “No Name Calling Week.” Who knew? The club is always looking for speakers. Mary Richardson has done a great job and we are booked through May. Contact Mary if you have any ideas for speakers. The club is taking requests for “Happy Dollars” distributions. The Rotary Carnival is most likely going to be held at the viaduct parking area this year. The “No Show Gala” is rolling along nicely but is still short of the goal, so get your pledges in. Zak from the RCC reported they had a quiet winter. The Annual Scavenger Hunt is being planned for April and they are requesting projects to get working on for the future. Contact Zak if you have a project that should be considered. President Mr. Jim Daly for his Presidential Project wants to help out with the restoration of the WWI Cannon. Jim hopes to accumulate between $500 and $1,000 from our membership and will have a donation jar at the podium weekly for member donations. Everything large or small would be appreciated. started things off welcoming Marge Blizzard back. Gary Young welcomed Marge Blizzard and was happy to see her again. Marge Blizzard said it was great to be back to Norwich for a visit from her home in Colorado. Bill Champagne gave for Martin Luther King Day and informed the club that slavery was not officially outlawed until 1808. Bill also encouraged everyone to read Lottie Scott’s book. Mike Cooney said his mother-in-law was quite ill and in the hospital. Andy Nollman welcomed Willow and Marge to the meeting. He also was quite happy with the outcome of the AFC Championship game and that the Patriots will be returning to the Super Bowl once again. Barry Shead welcomed Marge and Willow. Barry also said that his daughter opened a vegan market in LA. Suzy Hurlbert was happy that the pipes in her outdoor hot tub did not freeze during the recent cold weather. She also had a great visit with her son in Boston over the weekend. Pres.Mr. Jim Daly gave to welcome our guests. 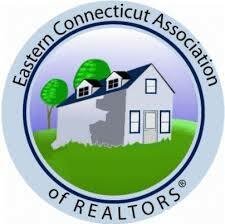 Rotarian Susy Hurlbert from the Eastern Connecticut Association of Realtors brought usthe latest statistics on real estate sales, both residential and commercial in New London County and Windham County. For complete information on these numbers you can log on to ECAR for all data. Susy also informed us that ECAR is sponsoring a luncheon at the Resource Conference & Trade Expo on February 13th at the Mystic Marriott where the featured speaker will be Bill Moeller, Retired Commander USCG. Bill will have you on the edge of your seat when he describes the harrowing rescue he and his crew aboard the US Coast Guard Cutter Tamaroa successfully completed during the height of the Perfect Storm of October 30th, 1991. Tickets are $40.00 and to register call 860-892-2595 or go to ECAR.